(800) 772-7005 - Have a quick question? Check out our FAQ! Why should your business use private labeling for your Private Label Salon Grade Shampoo manufacturing? Private label Salon Grade Shampoos are typically those manufactured or provided by one company to be offered under another company’s brand. 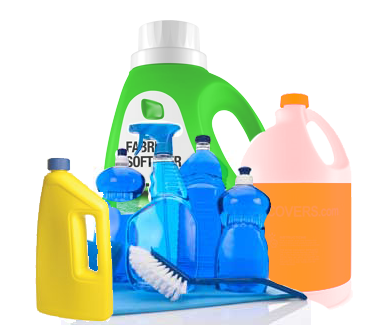 Private Label manufactured goods are available in a wide range of industries. They are often positioned as lower cost alternatives to regional, national, or international brands, and they provide a way for companies to make extra profit. Here at Formula Corp., we can take the headache out of this process. 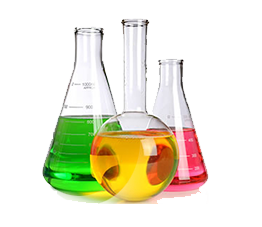 We are experts in the private labeling of chemicals, manufacturing, and design. Our experienced technical team works diligently monitoring the latest sustainable raw material developments. We review trade journals, meet with vendors, and solicit specific data from manufacturers in our attempt to use the most cost effective and sustainable ingredients in our formulations. We work with you to meet your standards for performance, sustainability, and safety. 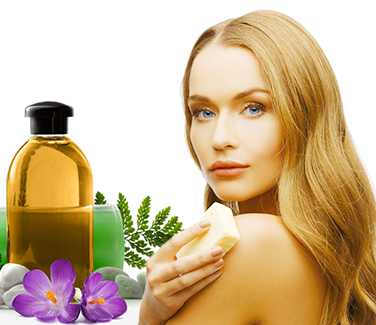 Not sure where to start when choosing a Private Label Salon Grade Shampoo manufacturer? Don’t worry – we can help you in all stages of production, from concept to completion. The entire team at Formula Corp. will work closely with you to develop the products you want to bring to market. We have the experience, innovation, and commitment to quality to exceed your expectations. We will partner with you to build your brand successfully. Need help with the packaging of your Private Label Salon Grade Shampoo? Bring your digital, ready to print artwork or allow us to utilize our top of the line graphics software to take your ideas from “Dinner Napkin to Ready Product” in as little as 4 hours. Our purchasing team, working together with a number of local manufacturers, has developed a number of environmentally preferred packaging options, including numerous 50% PCR content HDPE bottle choices and 30% recycled fiber content corrugated boxes. We are able to provide our clients with national brand equivalent packaging options. Our state of the art 70,000+ square foot facility has filling capabilities ranging in size from 4oz. bottles to bulk tanker trucks. In-house one-color silk screening or automatic paper/poly label application are available. Automatic labeling capabilities include full wrap or two-sided roll stock labels at speeds of up to 600/minute. We can print low volume labels using our new Own-X Speed Star Memjet label printers or we can send out your labels for printing via offset[WU1] press. Trust and integrity are of the utmost importance here at Formula Corp. We are registered with the Food and Drug Administration to produce Over-The-Counter products, including Private Label Salon Grade Shampoo, antibacterial detergents/hand cleaners, and hand sanitizers. We work closely with our suppliers and clients to assure we fully comply with all labeling and formulation specifications. We contract with third party auditors for our cGMP Personal Care Audit. We contract with third party testing laboratories to perform preservative challenge testing, clinical safety evaluations and repeated insult skin patch tests, consumer performance evaluation reviews, and stability testing. Formula Corp. maintains a vast library of liquid and powder formulas created with over 30 years of research and development. 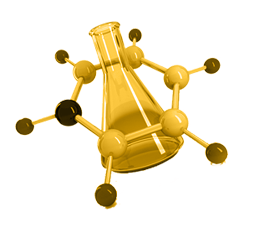 Our chemists can customize our formulations to create the perfect solution for your Private Label Salon Grade Shampoo. We have invested in a state of the art automated tube filler. It is an automatic system with a large bulk hopper that allows us to fill tubes containing 5 – 250 ml of product. Tubes can range in size from 10-50 mm in diameter and up to 200 mm in length. With this system, we are able to fill up to 3,600 tubes per hour. No job is too big or small, and we can handle the demand for your all your Private Label Salon Grade Shampoo manufacturing with ease. Our dynamic computerized batching system ensures exact duplication of previous orders. All products are blended in tanks that are on load cells, allowing for addition of raw materials by weight, not volume. Our dedicated quality control staff monitor production from blending to packaging. Right Chemical, Right Container, Right on Time. Need a place to store your Private Label Salon Grade Shampoo? Public warehousing of your products is available in our 60,000+ square foot warehouse. After manufacturing, we will store your products in our warehouse then ship them directly to your customer when you release the items for shipment. Blind Shipping is also available. We can customize our shipping system to print your company name on the bill of lading and packing slips, ensuring that your customers do not get confused by items coming from a third party shipper. We make life easy for your business.We can have your Private Label Salon Grade Shampoo ready in as little as 6-10 business days from time of order. Lead times vary depending on raw material availability and order size. Additional time may be required for new products. Our professional and proactive personnel will be with you every step of the way with our excellent customer service. We will work with you to make the production of your Private Label Salon Grade Shampoo meet your schedule. We are responsive to the needs of your customers and to partner with you to create a seamless extension of your operation. We not only want to maintain our standards, but also comply with the standards of your business. We are tech savvy and have great communication skills via e-mail and electronic data interchange. Let’s get started today. Use the following contact form to introduce yourself and tell us about your project. Are you ready for us to create your Private Label Salon Grade Shampoo? Have a quick question? Check out our FAQ first! Have Questions about our Private Label Salon Grade Shampoo? Give us a Call toll free at (800) 772-7005 or view our company directory. Or visit our contact page for more ways to get in touch. Our experienced technical team works diligently monitoring the latest sustainable raw material developments. We review trade journals, meet with vendors, and solicit specific data from manufacturers in our attempt to use the most cost effective and sustainable ingredients in our formulations. We work with our clients to meet their standards for performance, sustainability, and safety. Our purchasing team working together with a number of local manufacturers has developed a number of environmentally preferred packaging options including numerous 50% PCR content HDPE bottle choices and 30% recycled fiber content corrugated boxes. We are able to provide our clients with comparable national brand equivalent packaging options. We contract with third party auditors for our cGMP Personal Care Audit. Silliker performed our latest audit in March 2014 and our score was 93.9% with a rating of Excellent. We contact with third party testing laboratories to perform preservative challenge testing, clinical safety evaluations and repeated insult skin patch tests, consumer performance evaluation reviews, and stability testing. We are registered with the Food and Drug Administration to produce Over-The-Counter products including dandruff shampoos, antibacterial detergents/hand cleaners and hand sanitizers. We work closely with our suppliers and clients to assure we fully comply with all labeling and formulation specifications. We have invested in a state of the art automated tube filler. It is an automatic system with a large bulk hopper that allows us to fill tubes containing 5 – 250 ml of product. Tubes can range in size from 10-50 mm in diameter and up to 200 mm in length. With this system, we are able to fill up to 3600 tubes per hour. The entire team at Formula Corp. will work closely with you to develop the products you want to bring to market. We have the experience, innovation and commitment to quality to meet and exceed your expectations. We will partner with you to build your brand successfully. Quick question? Check out our FAQ first! Our corporate headquarters is located in the beautiful vicinity of Seattle, Washington. We are safely nestled in between the foothills of the Cascade Mountains and the shores of Puget Sound. Mount Rainier majestically fills the sky, and the Space Needle makes an instantly recognizable landmark for anyone passing through to one of many pristine, Pacific Northwest destinations. Our strategically placed facility also gives us access to Portland, Oregon, Boise, Idaho, and the entire West Coast including California cities such as Los Angeles, San Francisco, San Diego, Sacremento, and Fresno. We are also located near the border, giving us access to customers in Vancouver, British Columbia, Canada.